As we enter yet another laborious international break, with England set to face off against Germany and Brazil, several members of Antonio Conte’s squad have jetted off to various parts of the globe to continue the long road to Russia 2018. 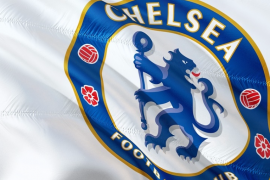 Whilst some squad omissions may seem surprising (see the Spain squad without Cesar Azpilicueta), Blues fans will be hoping that those who have ventured abroad come back injury-free and ready for the next set of fixtures. Following the intermission, Chelsea will face a potential banana skin against a West Brom side without a win in their last ten Premier League games – and that’s got to end eventually, right? But which of Conte’s team are where, and will they be able to pick up morale-boosting wins on their vacations? Chelsea’s largest cohort of players currently abroad lies with the Red Devils (not that one from up in Manchester). Eden Hazard, Thibaut Courtois and Michy Batshuayi are all included for Belgium, who qualified top of Group H undefeated. They face Mexico and Japan in two warm-up games, coming up against the likes of Javier Hernandez and Shinji Okazaki, who should keep Courtois’ hands nice and warm. 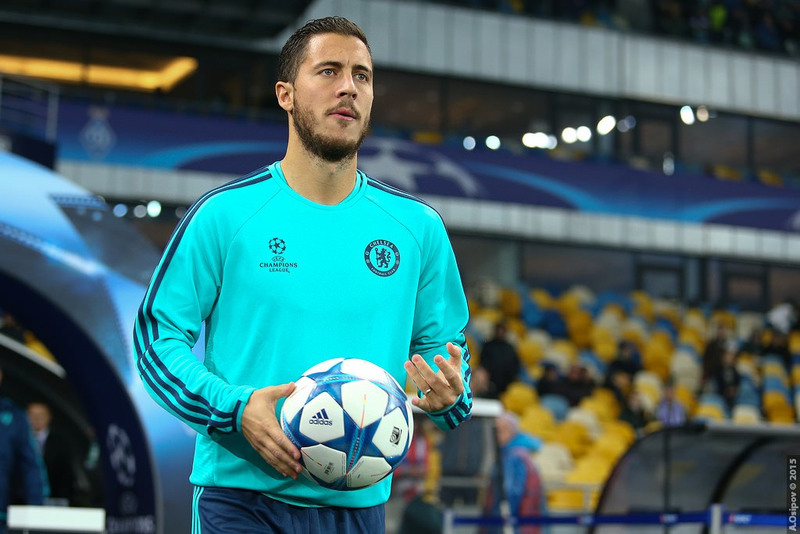 The biggest concern from these games would be Belgian captain Hazard picking up a knock. 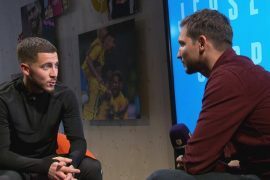 Having only recently got back to full match fitness for the Blues, an injury to the 26-year-old would seriously hinder Chelsea’s lingering title hopes. Luckily, both of these games take place in Belgium, meaning minimal travel disruption and air miles for the Belgians of the squad. With national manager Roberto Martinez expected to rotate and give each player a chance, Michy Batshuayi can expect some minutes to help boost confidence ahead of continuing to push Conte for a place in the Chelsea starting XI. Two of the contenders for a position in Chelsea’s backline go head to head on Friday, November 10, as Gary Cahill and Antonio Rudiger clash when England host Germany at Wembley. Cahill looks set to start in the backline for the Three Lions, but if this is in his now-accustomed-to back-three role, or whether Gareth Southgate employs a more traditional back four, remains to be seen. Rudiger is by no means a guaranteed starter in a competitive back line for Germany, but is expected to get the nod in the heart of the coach Joachim Low’s defence. Both Cahill and Rudiger have endured indifferent starts to the 17-18 season, with Conte unable to replicate the defensive solidity which drove Chelsea to the title last year. However, this fixture allows both to throw down the mantle ahead of their return to Premier League action. Following on from the always-feisty clash against Germany, Cahill comes up against a well-known player with a delightful afro. Brazil are in town for an all-out glamour friendly, with Willian (who will captain Brazil in their prior friendly away to Japan) in town with the aim to lay down a marker ahead of the Russian showpiece. However, fellow Brazilian David Luiz will have to watch from the sidelines after not being included in Tite’s squad as the result of an underwhelming opening period for the Blues in both the Premier League and Champions League. After a hugely impressive performance against Man United, Andreas Christensen is the first of two Chelsea players in competitive action during the break. Denmark face the Republic of Ireland in a double-header, with the victor earning a spot in Russia. Christensen is slowly becoming a first-team regular. With a string of solid performances thus far this season, he is already being likened to the ‘next John Terry’. Christensen is expected to play the full 180 minutes across both legs, and will be key in stopping an Ireland team looking to reach only their fourth World Cup, and their first since 2002. Elsewhere, Italy and Davide Zappacosta go up against a Zlatan Ibrahimovic-less Sweden following an impressive qualifying campaign, only missing out to group winners, Spain. Whilst Zappacosta is yet to stamp his mark on Chelsea or the Italian national team, the spirited wing-back is impressing with each passing performance. He is expected to maintain his place in the Chelsea starting XI following the international break, with Victor Moses not expected to be match fit just yet. Finally, Alvaro Morata joins the Spain squad who, surprisingly, have left out Cesc Fabregas, Pedro and Azpilicueta. Azpilicueta and Fabregas can count themselves exceedingly unlucky, as the pair are have been in great form for the Blues, as showcased during the recent 1-0 win over Man United. Morata nicked the winner with an incredible header in the showdown with José Mourinho’s men, and will be looking to keep his goalscoring form going up against Costa Rica and Russia. The international break is usually met with a chorus of sighs and jeers from Premier League fans, as the frantic action tends to be replaced with dull affairs devoid of any intrigue. However, it does give those on duty a chance to enhance their form, or rediscover their best. But, as usual, the main concern is for players to return without injury, ready to kick on to the next round of fixtures.